The last of three major events celebrating a trio landmark anniversaries. 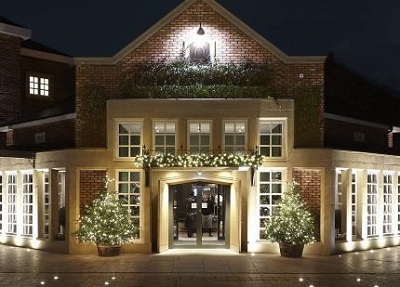 The Anniversary Dinner for BMF members on 29 November sees the BMF return to the award-winning Belfry Hotel in Warwickshire. As well as the 40th anniversary of the Builders' Merchants Federation itself, the BMF is marking 110 years as a Trade Body and 5 years since it relocated from London to its current HQ in Coventry. To celebrate these milestones in the BMF's history, the Federation has held its first Parliamentary Reception at the House of Commons, and is holding its first Young Merchants' Conference and a special Anniversary Dinner for 200 members at the Belfry. Known for it's world-class golf courses and state of the art leisure facilities, the Belfry was named as England's Leading Resort and Conference Hotel at the World Travel Awards 2017. This event is BY INVITATION ONLY. For more information and a booking form please contact June Upton at june.upton@bmf.org.uk.